London (AFP) - Liverpool are one step closer to a long-awaited Premier League title, but only just after a seven-goal thriller against Crystal Palace at Anfield, while Chelsea imploded in losing 2-0 at Arsenal. Manchester United and Tottenham were also victorious as the race for a top-four finish tightened and Manchester City were routine 3-0 winners at Huddersfield to remain just four points adrift of Liverpool. 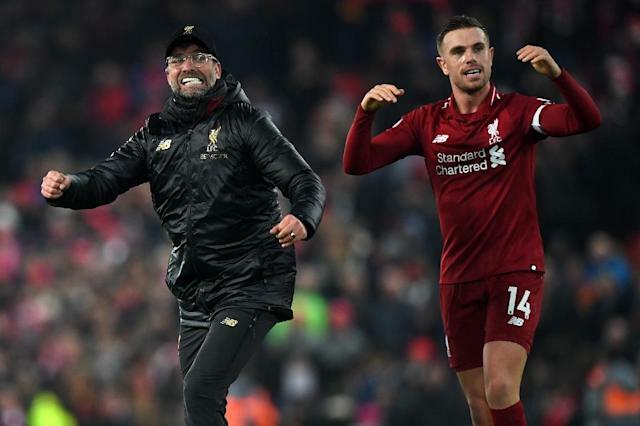 For the second consecutive week Liverpool got the job done by a solitary goal, but in stark contrast to a dogged 1-0 victory at Brighton last weekend, Jurgen Klopp's men needed their forwards to come to the party and a touch of fortune to see off Crystal Palace 4-3. Trailing 1-0 at half-time, the Reds turned the game around in the space of eight minutes at the start of the second period thanks to deflections that favoured Mohamed Salah and Roberto Firmino. Palace hit back to level again at 2-2, but the leaders biggest break came when 39-year-old goalkeeper Julian Speroni, playing for the first time in 13 months due to injuries to Wayne Hennessey and Vicente Guaita, fumbled a simple James Milner cross towards his own goal and Salah slammed into an empty net. Another hurdle cleared, Liverpool are now 15 games from a first title in 29 years. 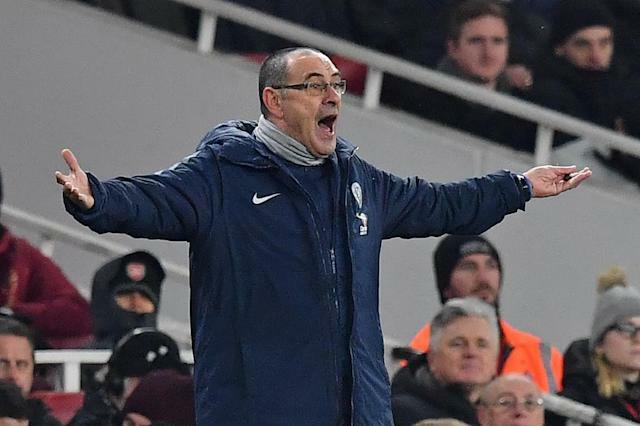 With a post-match thrashing of his players a former Chelsea manager in Jose Mourinho would have been proud of, Maurizio Sarri left no one in any doubt where he placed the blame for an insipid performance at the Emirates. The Italian lambasted his players' desire and commitment, labelling them "difficult to motivate". Sarri must also, though, accept his measure of responsibility with Eden Hazard and N'Golo Kante again struggling in unfamiliar positions. Not many Chelsea managers have taken on the dressing room and succeeded in Roman Abramovich's reign. Sarri is just six months into a three-year contract, but they have tended to matter for little under Abramovich and he may be the latest in a string of illustrious coaches that does not last long at Stamford Bridge. Arsenal's victory closed the Gunners to within three points of Chelsea in the fight for a top-four finish, but it is a rejuvenated United who look even more likely to beat Sarri's men to Champions League qualification. Ole Gunnar Solskjaer has now masterminded a magnificent seven straight wins since taking charge as caretaker boss. An 11-point gap to the top four when Mourinho was sacked little over a month ago is down to three and United will have the chance to erase it when Chelsea visit Old Trafford towards the end of the season. A 2-1 win over Brighton was not the Red Devils' best display under the Norwegian, but his influence was still decisive as Marcus Rashford's stunning solo goal proved the difference between the sides. 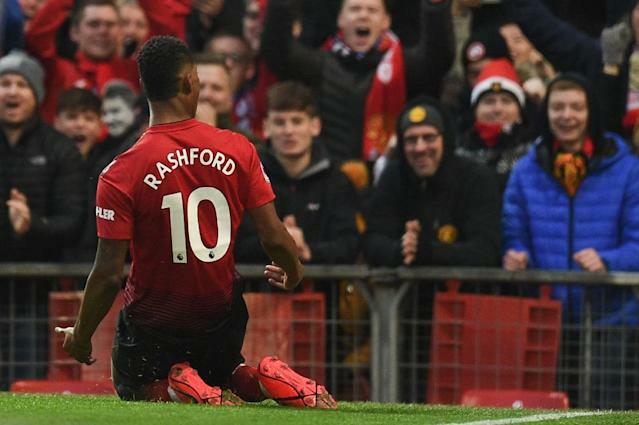 Finally afforded a run of games in a central role up front, Rashford has now scored in four straight Premier League games for the first time in his career. Shorn of Harry Kane, Dele Alli and Son Heung-min, Spurs needed Harry Winks' first goal since 2016 to see off struggling Fulham 2-1 at Craven Cottage. Winks' header with virtually the last action of 93 pulsating minutes ensures Spurs maintain a seven-point cushion over Arsenal and United. 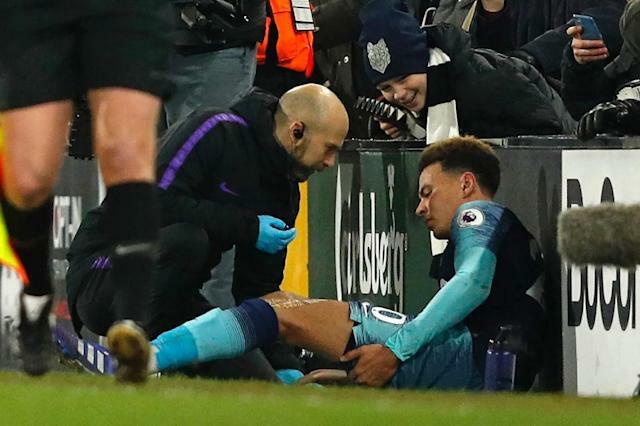 And they might need it as Alli joined a worrying list of injury casualties. The England international had scored Tottenham's equaliser before pulling up with a hamstring injury. With Kane out until March with ankle ligament damage and Son on duty for South Korea at the Asian Cup for the rest of the month, Spurs are desperately short of firepower as they try to maintain a challenge in four competitions. Unlike Mauricio Pochettino's Spurs who didn't spend a penny on transfers in the summer, Marco Silva was handed £90 million worth of new arrivals to begin the challenge of taking on the top six at Everton. Instead, the Toffees are just three points better off and two places lower in the table than they were at this stage last season under Sam Allardyce. 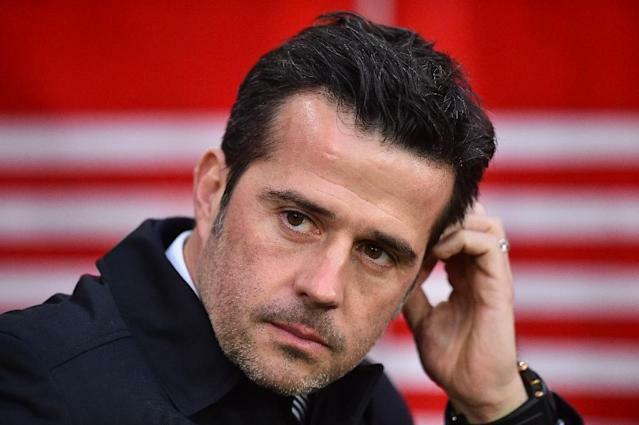 Of Everton's big summer signings, Colombia's World Cup hero Yerry Mina was left on the bench, while Andre Gomes, Richarlison and Bernard were all substituted by Silva in Saturday's 2-1 defeat at Southampton. At the very least, Everton's majority shareholder Farhad Moshiri would expect to be the best of the rest in seventh come the end of the season. But a run of just two wins in 10 league games since November leaves Everton trailing Watford, Wolves, Leicester and West Ham down in 11th.